Still here? Great! You're now on the 3rd step of creating your website. Now that we have setup our hosting account we can quickly install WordPress and have a working website up in minutes. 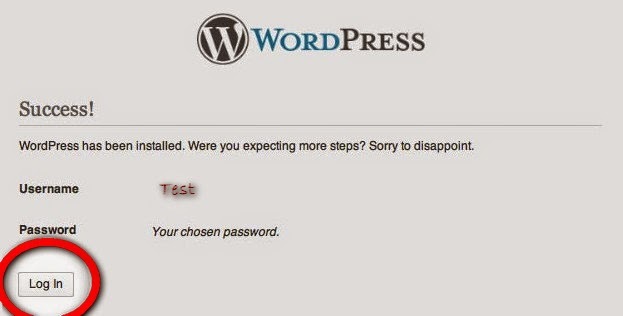 Continue to the next step where you will be guided through the entire process and see how easy it is to use WordPress. WordPress is web software you can use to create a beautiful website or blog. The software is FREE and is supported by a thriving community of developers and users across the world. With WordPress you can create content, change your design, and add new features to your website all without any technical coding. One of the best features of WordPress is how easily it can be installed. 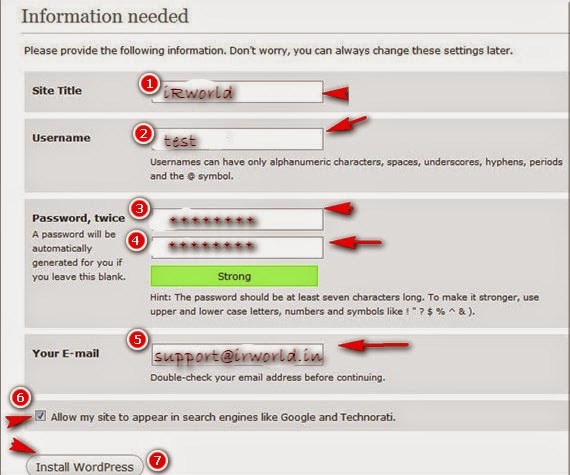 It takes less than 5 minutes to setup a WordPress site from scratch using either the built in WordPress installer or popular 1-click installers provided by hosting companies like iRworld. In the video below I will walk you through all the steps you need to take to install a WordPress site from scratch. 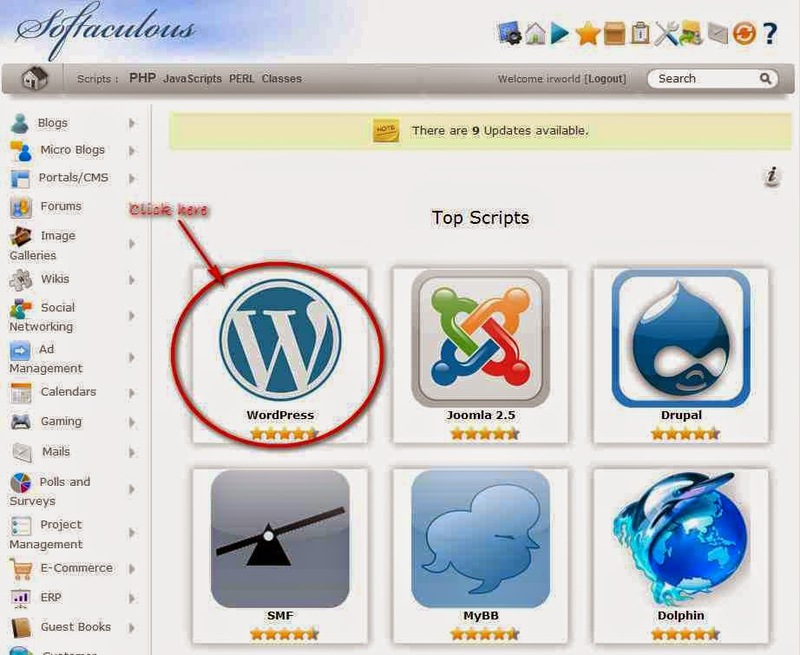 Use Softaculous to install a WordPress application to your site. It will take only few minutes and literally no advanced skills to have a fully functional WordPress instance in your hosting account. Step 2 : Find the Softaculous icon under the "Software Services" section. 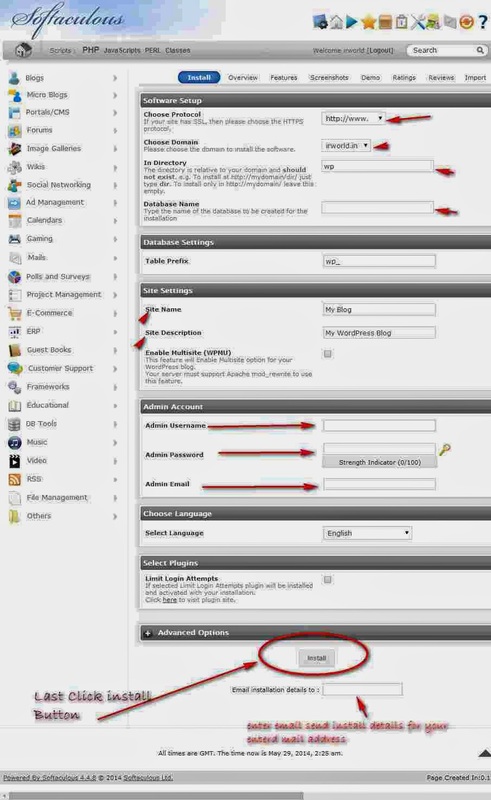 t should be located in the lower part of your cPanel page, right under the "Domains" section. Step 3 : lick on the Softaculous button. you will be redirected to the page where you have to chose the application you want to install. Step 5: Finally, enter the required fields for your site - title, description, administrative username and password, administrative e-mail etc. and click on the "Install" button. 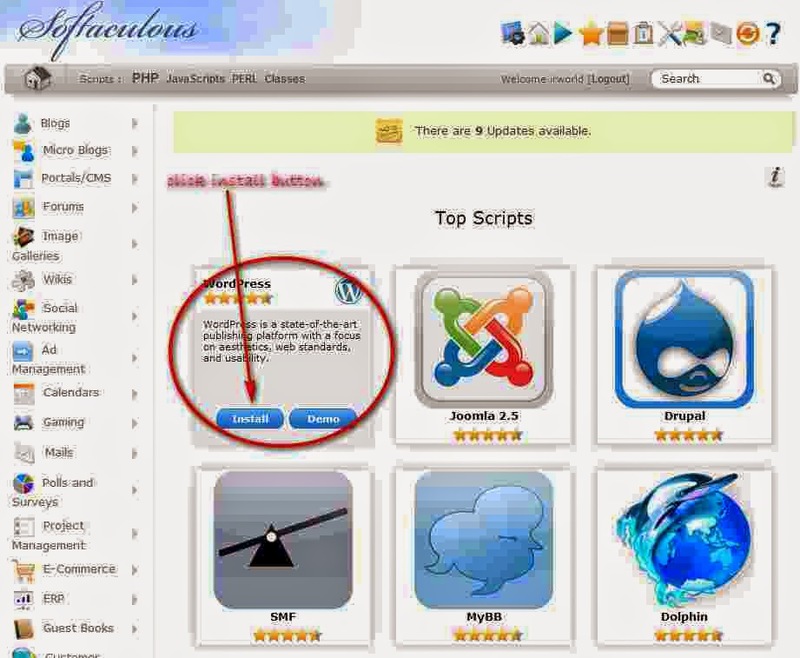 Please note that by default Softaculous will install the application in a "wp" sub-folder. That being said, if you would like to be able to access the website only via your domain name you should delete the wp string from the "Directory" field. If you want to install the application in another sub-folder you should simply type it in the field. Well Done! Your WordPress application is installed and ready to use. You can now login and start blogging! Follow these steps if you want to perform a new, manual installation of the latest WordPress version. 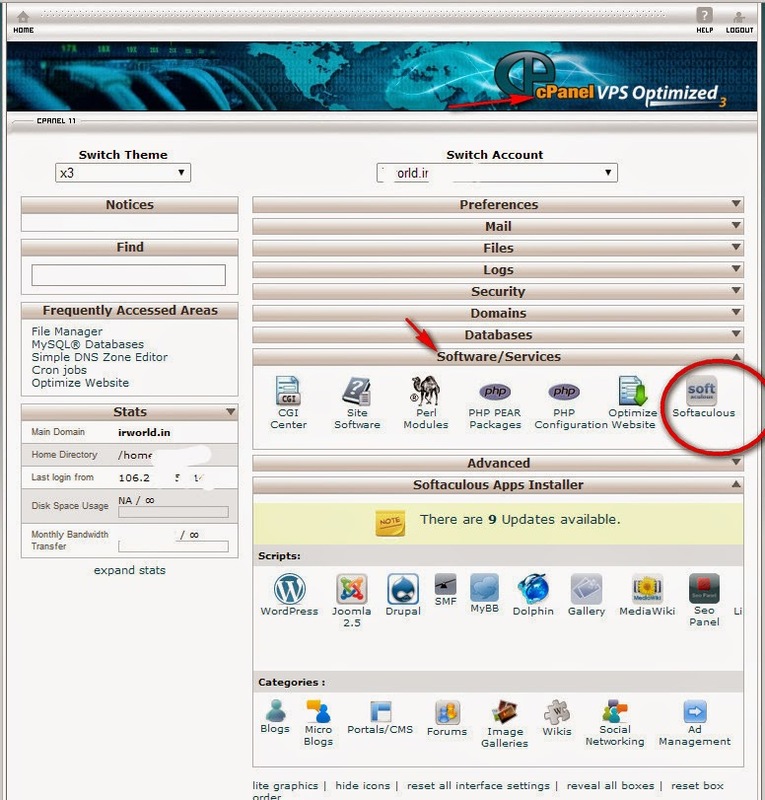 Step 2: Upload the WordPress files to your server: Two options for uploading WordPress to a hosting account. Note: If you want this WordPress installation to be main for your website, the files should reside in the public_html folder of your account. However, you can always make a subfolder (i.e. public_html/blog) if you want to run only part of your website on WordPress. Now, you need to create a MySQL database and assign a user to it with full permissions. 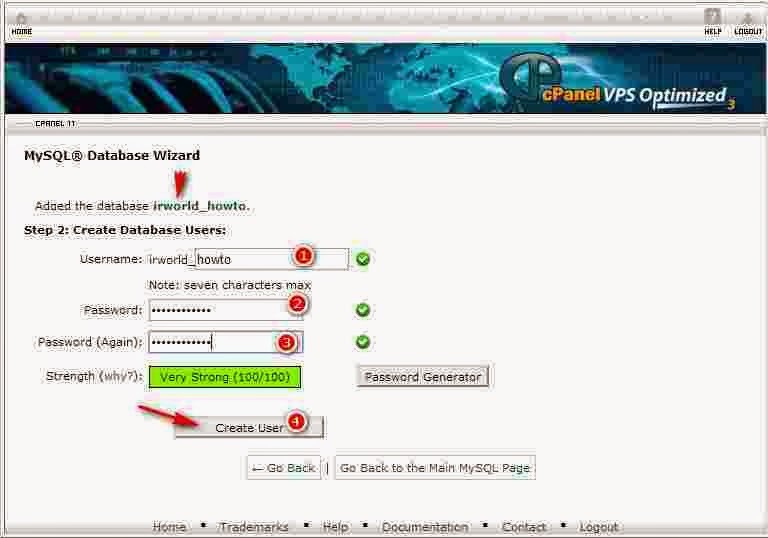 2.In the Databases section, click the MySQL Database Wizard icon. 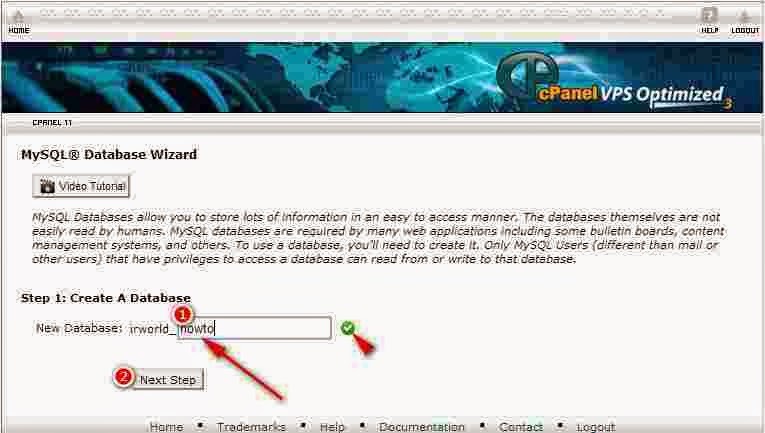 3.Create A Database, enter the database name and click Next Step. 4.Create Database Users, enter the database user name and password and click Create User. 5.Add User to the Database, click the All Privileges checkbox and click Next Step. 6.Complete the task, make note of the database name, username and password, as you will need them for Step 4 See below. Click "Create a Configuration File" and then click "Let's Go!" NOTE: As per the screen shot above, the Database Host is set to "localhost" by default. 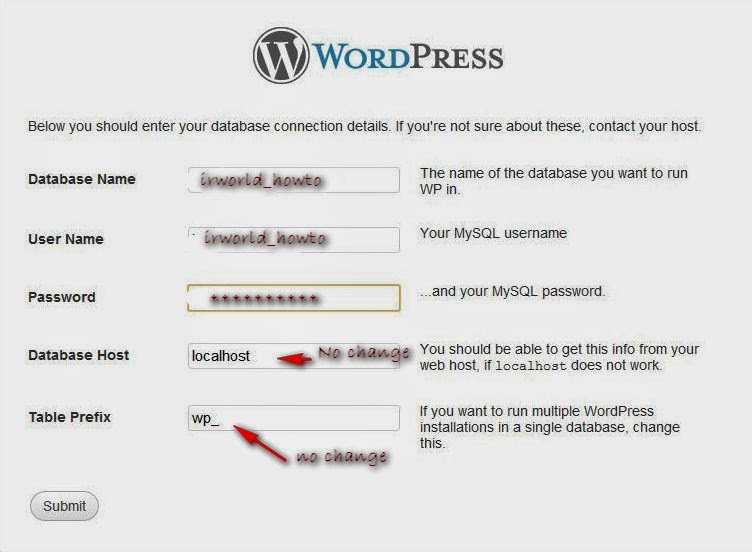 If this is not set as the database host, then type it in as you see it in the screen shot. The database host name will only be different if you are connecting to a database that is not on the hosting server. By default all InMotion Hosting databases will be coming from the local server. BlueHost is ultimately the best hosting company with plans for any hosting needs.